Kyoto is stunning. If there is only one place on your bucket list I recommend this be it. Only Rome has more world heritage sites. We stayed at a traditional house that gave us a glimpse of Japanese life. Every day putting the futons out and eating at the sunken table were highlights. Loved it! However, at night the ambiance – and particularly the sliding doors – reminded me of the film The Ring. We hired bikes, which made it easy to explore the city with the children. Jonas slept most of the time on the bike. Around Gion we parked the bikes and walked up some stairs crowded with tourists and school kids – Dylan and Jonas unsheathed their samurai swords out to fight off any ninjas (or geishas, as Dylan was slightly scared by them). We eventually reached Kiyomizu-dera temple which was particularly impressive. Second day there were some slopes that I was not warned about. I blame the bike with no gears and Jonas for going so slow and the Golden palace is just too far. After exploring the Golden Palace we did a visit to the famous rock garden at the Ryoanji zen temple was needed to restore our yin and yang. With Ady, Mark’s pal, being more adventurous on the food side we tried the most amazing dishes. 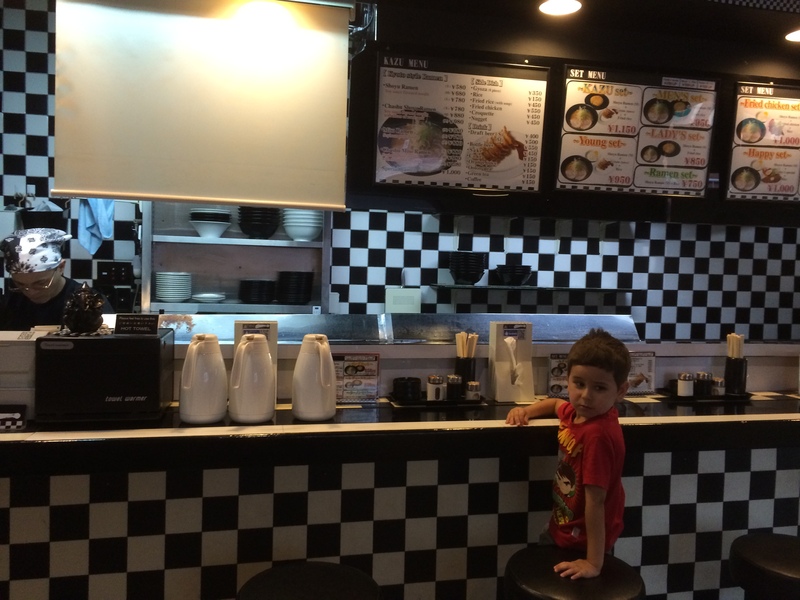 Udon noodles, dim sum, yakatori chicken; one restaurant better then the next. Went to the coolest sushi restaurant where you order on an iPad and it lands within a minute at your table after being plucked out of an nearby aquarium. 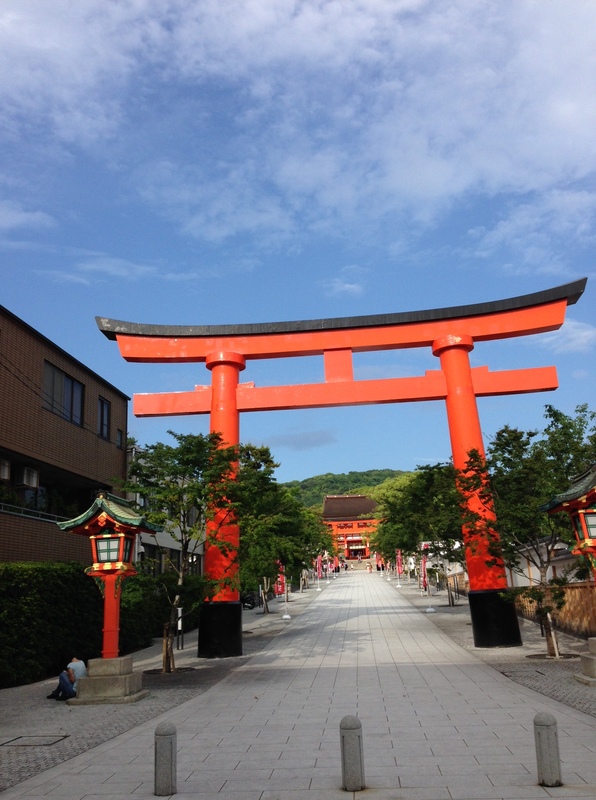 On the last day, with fantastic weather, we walked through the Arashiyama’s bamboo forest then on to the stunning red gates at Fushimi Inari-taisha shrine. There are apparently over 10,000 gates weaving 4 km up the mountain – we probably made it half way. We were so enthralled that we nearly missed the train back to Kyoto station (by seconds). 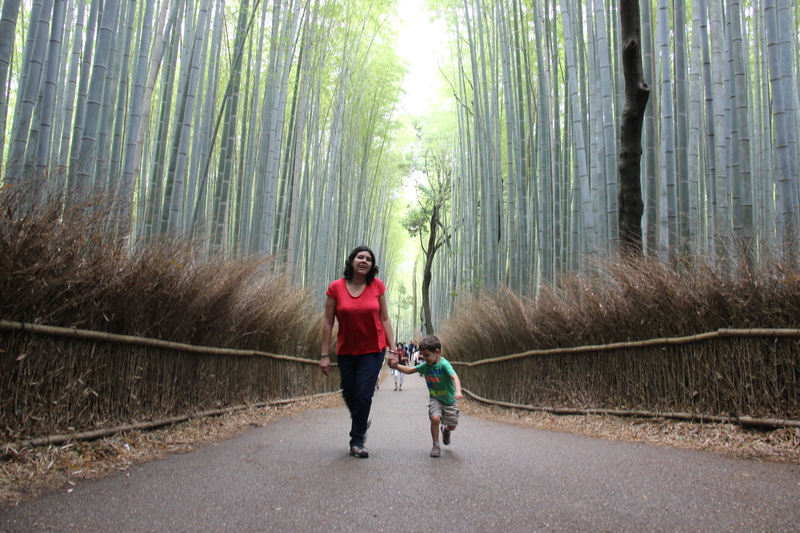 I would love to spend weeks in Kyoto… will have to be another time as Beijing awaits.